Donald Trump's economic policies aren't getting good grades. His presidency would cost the U.S. economy $1 trillion over the next five years, according to Oxford Economics, a British forecasting firm with offices in the United States. The analysis comes ahead of Trump's big speech on Thursday at the Economic Club of New York, where he's expected to offer more clarity on his economic policy promises. Oxford Economics found that if fully implemented, Trump's economic, tax and immigration policies would cost 4 million U.S. jobs, weigh down global growth and U.S. consumer spending, and could spark a trade war with other nations. "Combining these policies together, the impact could be significantly negative for the U.S. economy," says Jamie Thompson, head of macro scenarios at Oxford Economics. Oxford's figures are in line with other analysis. The University of Pennsylvania's Wharton Budget Model forecasts Trump's immigration policy costing 4 million jobs and Moody's economist Mark Zandi -- a Clinton supporter -- also forecasts a similar job loss under Trump. Thompson argues that Trump could hurt the very workers he says he'll help in America's manufacturing sector. In Oxford's "adverse case scenario" Trump slaps a 35% tariff on goods coming from Mexico, like cars and air conditioners. But the problem is that almost half of the parts in those cars and ACs originate from U.S. suppliers. In other words, U.S. manufacturers who ship to Mexico stand to lose customers if the U.S. imposes a tariff on the products they contribute to. CNNMoney also found similar stories when we spoke to denim manufacturers in South Carolina. They send an overwhelming amount of denim to Mexico, where it is cut and sewn into jeans, which are sold in America. They say NAFTA, the trade deal with Mexico and Canada, is critical. "Without NAFTA, we would be out of business," says Rich Turner, who employs 2,700 workers at his denim plant in Mauldin, S.C. Turner is still supporting Trump because he refuses to vote for Hillary Clinton. American buyers would stand to lose too if all of Trump's policies are implemented. Those tariffs would make the price of cars and other goods more expensive. Oxford forecasts consumer spending to decline by 4.4% over four years. Trump's team acknowledges that a grocery trip would become more expensive with tariffs on other countries' goods. 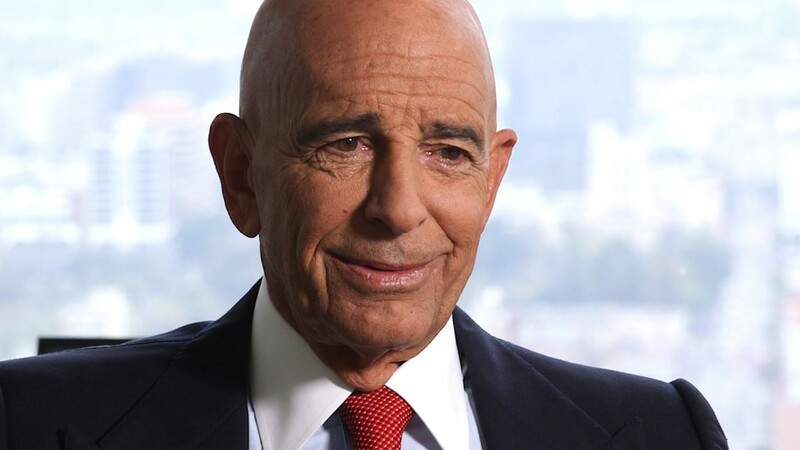 "(Prices could go up) if those tariffs were actually enacted as proposed," Tom Barrack, one of Trump's economic advisers, agreed in an interview with CNNMoney's Cristina Alesci. But Barrack counters that Trump would also bring back good-paying jobs to the United States. Trump would do that by creating an economic stimulus plan and lowering corporate taxes to convince companies to return offshore profits to the U.S. and spend that cash on new jobs and factories. Many trade experts argue that raising tariffs on China and Mexico would only cause American companies to shift jobs to the next cheapest place, such as Vietnam or Central America. Trump's trade proposals "would be ultimately self-defeating, and harm the U.S. economy and harm U.S. manufacturers," says Thompson, the economist from Oxford Economics. When asked about Oxford's analysis, Barrack dismissed the report in one sentence. "One thing we know about economists is that they never get it right," Barrack said.